Safe Staffing Victory: More Than 50 New Positions at Kaiser Woodland Hills! 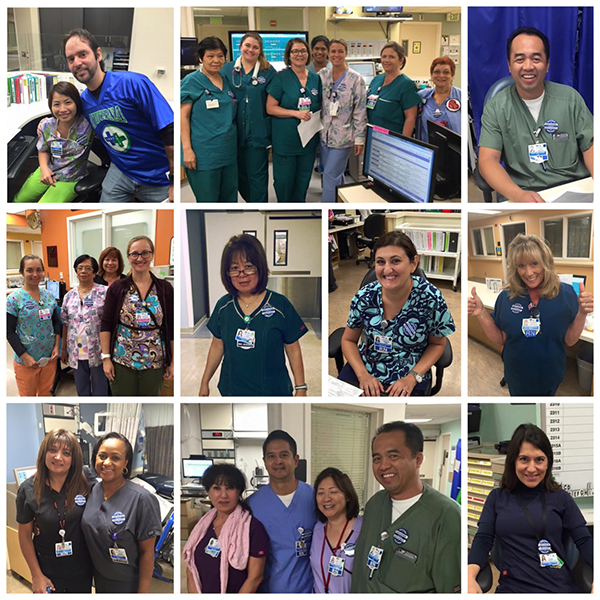 As a result of the collective effort put forth by UNAC/UHCP Kaiser Woodland Hills members through the Safe Staffing campaign, more than 50 new full-time, part-time and per diem positions have been posted! UNAC/UHCP has worked for years to ensure that dangerous staffing practices that harm our patients are not accepted. When nurse-patient ratio regulations were being violated, members diligently reported the staffing concerns. We filed grievances to address staffing and asked for regular meetings to go over staffing objections and part-time or per diem use. The issue of safe staffing didn’t just appear overnight, but recent actions by members brought matters to a head. Members took a stand and buttoned up to send a strong message to management that safe staffing is essential to protect the safety of our patients. The Kaiser Woodland Hills affiliate is not just getting new positions. Vacant positions will be backfilled and the affiliate is one of the few with a new grad program.